The broken lid of an old compact, its silver tarnished, its navy-blue enamel no longer glassy but scratched and dull. The mildewed mirror is like a window on a faded world, like a porthole looking out under the ocean. It makes me squirm with memories. As a reminder of what to do (and what to avoid doing), Maud scribbles notes to herself which she keeps in her pockets. And additional notes are dotted around Maud’s house, courtesy of her daughter, Helen, and carer, Carla: ‘coffee helps memory’, ‘lunch for Maud to eat after 12 p.m.’. However, Maud often struggles to make sense of her paper memory, as she finds it hard to recall the meaning of these jottings. And Maud is especially troubled by some of her notes, the ones concerning her friend Elizabeth: ‘no word from Elizabeth’, ‘haven’t heard from Elizabeth.’ Consequently, Maud is convinced that Elizabeth is missing and that something terrible may have happened to her, especially when she finds her friend’s house empty and in the process of being cleared. Maud sets about trying to get to the bottom of Elizabeth’s apparent disappearance, (frustrating her daughter in the process) and this theme forms one of two strands that run through the novel. The other thread concerns a mystery from Maud’s past, one signalled by the broken compact Maud unearths in the prologue. This vanity case belonged to Maud’s older sister, Sukey, who disappeared suddenly in the years following the end of the Second World War. At the time of her disappearance, Sukey was relatively newly-married to Frank, a rather shady removals operator with a lucrative sideline in the movement of black-market goods. Despite Maud’s difficulty in remembering things from the present day, her long-term memory is much sharper, considerably more vivid, and the story moves back in time as Maud recalls the events surrounding Sukey’s vanishing. There’s some neat period detail and dialogue here, elements that feel true to Britain in the 1940s (as far as I can tell from my experience of novels and films produced at this time). The narrative alternates between Maud’s present-day search for Elizabeth and the post-war years as Maud and her family look for Sukey. In general, Healey manages the transitions between these two timeframes quite skilfully; for example, Maud will see an object that transports her back to a particular scene from her past, one in which the same item (or a similar one) appears. As the novel reaches its conclusion, Healey ties the two strands together, although the way in which this happens feels a little implausible. I guessed where the mystery of Sukey’s disappearance was heading before our arrival at the resolution, and consequently, this element of the story could have been a little more compelling, more intriguing. Helen sighs again. She’s doing a lot of that lately. She won’t listen, won’t take me seriously, imagines that I want to live in the past. I know what she’s thinking, that I’ve lost my marbles, that Elizabeth is perfectly well at home and I just don’t remember having seen her recently. But it’s not true. I forget things – I know that – but I’m not mad. Not yet. And I’m sick of being treated as if I am. I’m tired of the sympathetic smiles and the little pats people give you when you get things confused, and I’m bloody fed up with everyone deferring to Helen rather than listening to what I have to say. My heartbeat quickens and I clench my teeth. I have a terrible urge to quick Helen under the table. I kick the table leg instead. The shiny salt and pepper shakers rattle against each other, and a wine glass starts to topple. Helen catches it. Elizabeth is Missing is our book group’s choice for July, and I’m sure we’ll have a lively discussion about it when we meet later this week. A couple of us were lucky enough to attend an event where Emma spoke of the book’s themes and sources of inspiration – there’s a link to my write-up of the evening here if you’re interested. 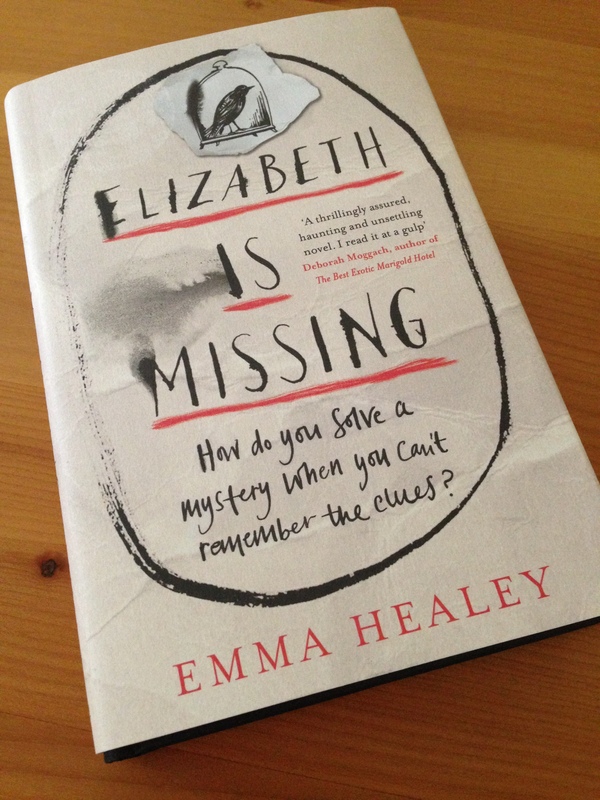 Several other bloggers have reviewed Elizabeth is Missing, so just click on the links if you’d like to read their thoughts: Naomi at The Writes of Women, David Hebblethwaite at Follow the Thread, Lindsay at The Little Reader Library, Susan at A Life in Books and Helen at MadaboutheBooks. 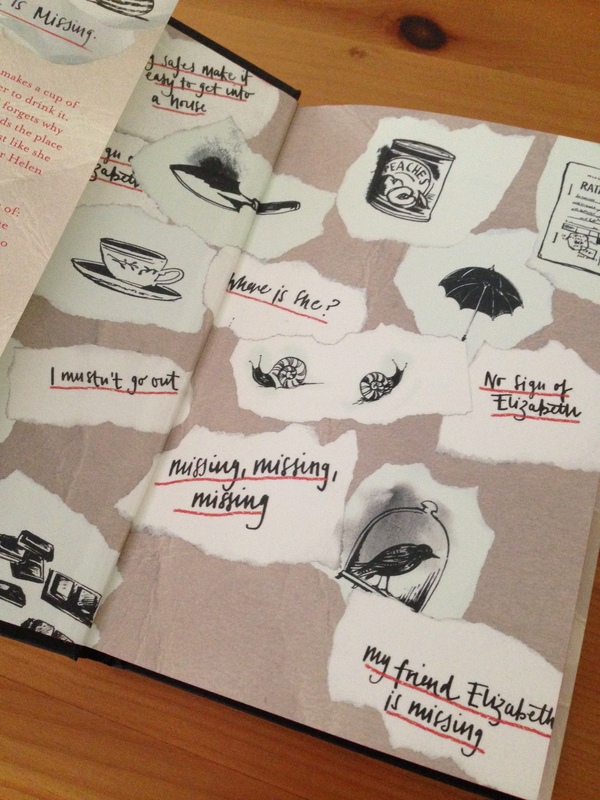 Elizabeth is Missing is published in the UK by Viking, an imprint of Penguin Books. This entry was posted in Book Reviews, Healey Emma and tagged #ReadWomen, #ReadWomen2014, Book Review, Emma Healey, Fiction, Penguin Books, UK, Viking on July 14, 2014 by JacquiWine.